Congratulations on your chapter meeting the Chapter Affiliation Requirements (CARE) for 2018! This means your chapter successfully met all 18 required CARE elements and is recognized for 100 percent achievement of CARE. Based on your reported joint membership percentage, your chapter is also recognized as a Chapter Membership SUPER STAR with joint membership above 50 percent. I’d like to personally acknowledge and thank you and the chapter leadership team for your accomplishments and for going above and beyond the CARE requirement. Thank you for your time and for partnering with ATD to provide and sustain a vibrant community serving our members and the entire talent development profession. I look forward to continuing to engage with you and the chapter! Tonight we celebrated the work of our chapter members in 2018 at our annual Tribute to Learning Awards. 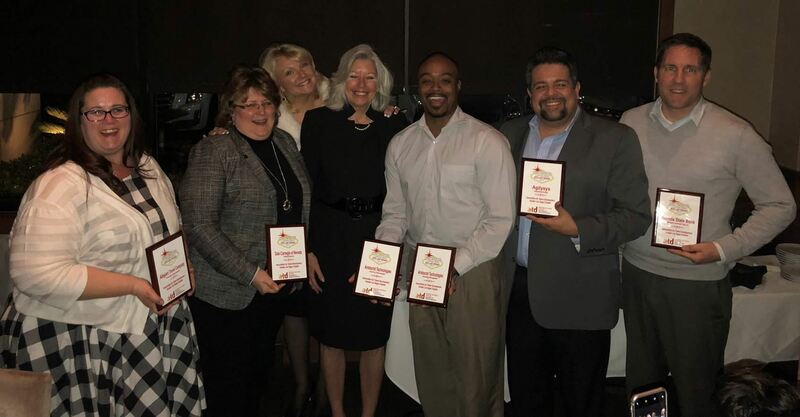 The ATD Greater Las Vegas Chapter's annual Tribute to Learning Awards recognizes organizations for their creativity, innovation and futuristic approaches to learning. Each year we look for the best learning leaders in southern Nevada. How was this area of expertise incorporated into your submission? How was the area of expertise executed? Please congratulate our winners on their hard work! Instructional Design concentrates on the ability to design and develop informal and formal learning solutions using a variety of methods. The Instructional Design award submission outlined an extensive, collaborative needs analysis process to establish competencies, learning outcomes and delivery approach. The learning was developed incorporating a variety of methods, allowing the solution to be deployed on a large scale. Evaluation of the project was tied directly to design, as well as the business impact. The Change Management Area of Expertise involves applying a systematic process to shift individuals, teams, and organizations from current state to desired state. The Change Management award winner applied diagnostic tools to determine the desired cultural shift. First establishing sponsorship by senior management supported the change intervention. Evaluation tools were used at various intervals to determine impact and sustainability. Performance Improvement - Levi Strauss & Co. The Performance Improvement Area of Expertise emphasizes an organization's ability to apply a systematic process for analyzing human performance gaps and for closing them. This year’s award winner for Performance Improvement demonstrated an analysis process to gather data and identify root causes. As solutions were implemented and more opportunities were uncovered, they were immediately addressed. Through building and sustaining relationships, the organizational goals of this initiative were achieved. The Training Delivery Area of Expertise focuses on the ability to deliver effective training sessions through the understanding of instructional design theory & methods, use of presentation techniques & tools for determining learning preferences, and incorporation of individual learning styles and cultural differences. The winner of the Training Delivery award demonstrated using a variety of learning methods aligned with the learners’ needs, managing the learning environment, application of learning reinforcement and ensuring the outcomes of the learning met the objectives of the initiative. The Greater Las Vegas Chapter of the Association for Talent Development (ATD), formerly ASTD, was named an ATD Chapter of the Month (COM) for July 2018. The COM is national recognition for ATD local chapters that have demonstrated strength, growth, and innovation in managing their chapter. 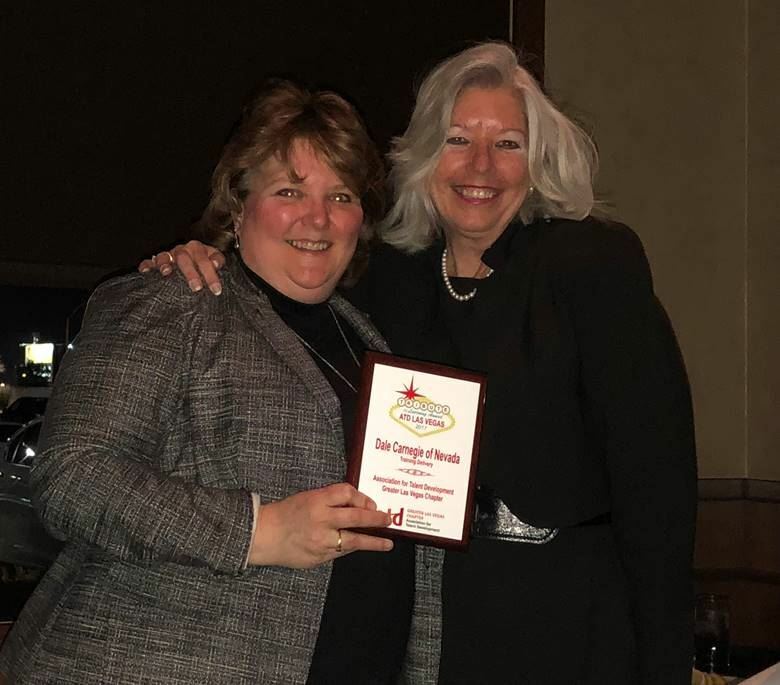 This prestigious award recognizes ATD Greater Las Vegas for demonstrating positive and unique approaches that provide value to their members and professionals in the community, including professional development, networking, and leading information within the talent development industry. 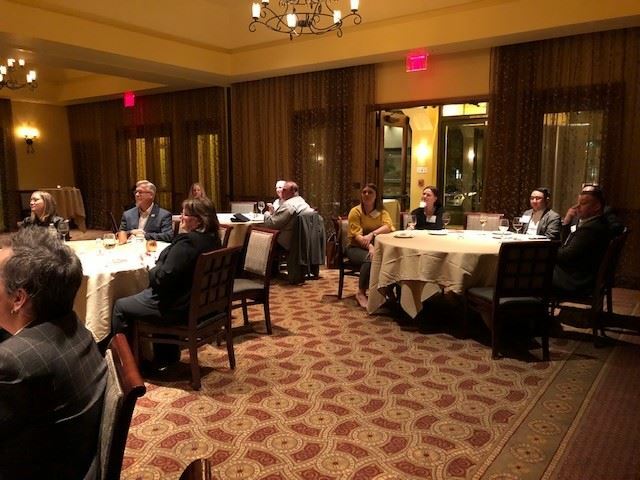 Greater Las Vegas is a leader in providing opportunities to their members and other ATD chapter leaders to share best practices and encouraging leaders to learn and grow from each other. We are honored to recognize the chapter with ATD’s Chapter of the Month award. 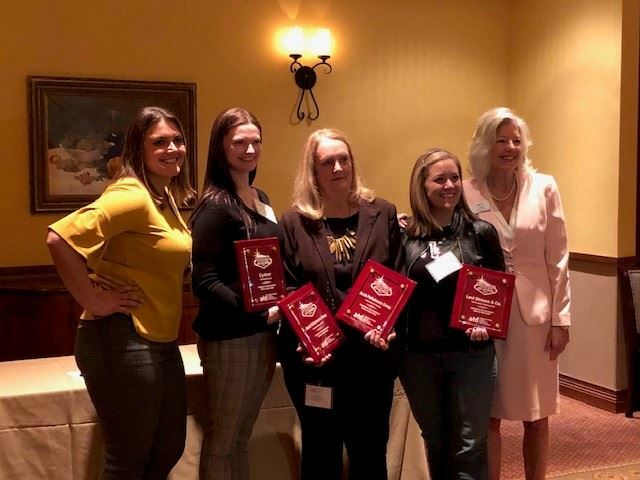 This award recognizes your chapter for its many accomplishments, including Chapter Affiliation Requirements (CARE) achievement, Sharing Our Success (SOS) submission acceptance, and overall chapter strength, growth, and innovation. Since the program’s inception in 2003, ATD chapter leaders have benefited from the shared knowledge and ongoing learning that the SOS program provides. The Chapter of the Month award is this program’s highest honor. Please convey my congratulations to everyone in your chapter who contributed to this success. I encourage you to continue to work collaboratively on the excellent projects and programs that benefit ATD members, chapters, and ultimately, the talent development profession. Read more on the ATD website! We're on a Roll! SOS Recognition #3 for 2018! Once again (and for the third time this year!) 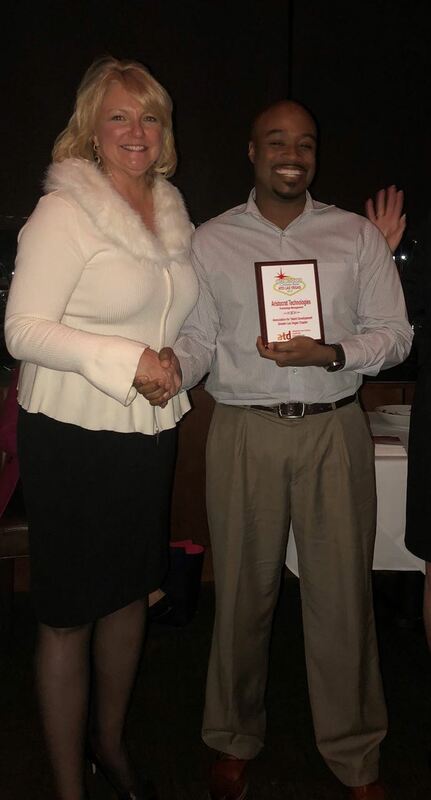 the Greater Las Vegas Chapter of the Association for Talent Development (ATD) was recognized in June 2018 for our submission to the ATD “Sharing Our Success” (SOS) program. The national SOS program identifies best practices among local ATD chapters and uses them as models for other chapters. 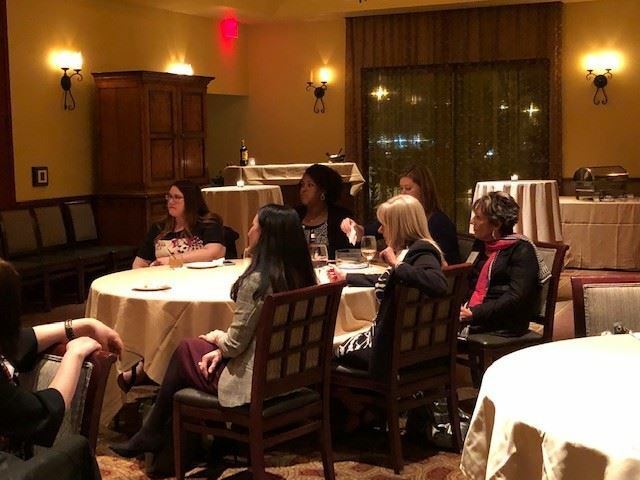 After the chapter experienced a few program flops, chapter leaders created a process to vet potential speakers with the goal of creating more value for the membership. The board put out a call to chapter members assessing the talent within the chapter and outlining the chapter’s desired topics. The board also developed some programs that did not require a speaker and allowed chapter members to interact and learn from each other, such as “Bring Your Own Energizers” and “Bring Us Your Training and Development Problems.” The chapter instituted a policy of meeting with the upcoming speakers beforehand via WebEx to ensure the program is on target and meets member expectations. Because of this effort, overall attendance, communication, membership, and engagement increased. Our very own ATD Greater Las Vegas Chapter President Sue Beyer was recently featured on the cover of Minority Business Entrepreneur (MBE) magazine! Sue was recognized as part of the "WBEs Who Rock!" contest, which honors Women Business Entrepreneurs (WBEs) who have excelled both in business as well as their communities. In 2016, corporations spent about $359.3 billion on corporate training initiatives worldwide, with an average of 39 percent of the money going to external (outsourced) suppliers, training industry estimates say. Sue Beyer and Gloria Carter-Hicks are part of that group of external suppliers providing performance improvement and professional development services to corporations. For two years, Beyer served as the Women's Business Enterprise Council-West Regional Nevada Forum Chair. 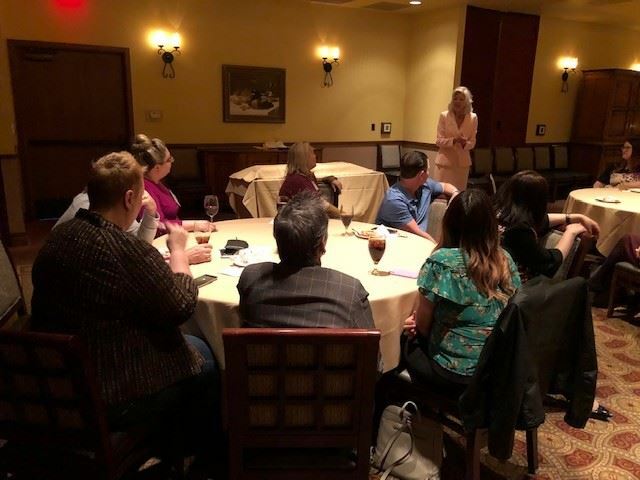 Currently, she is president of the Las Vegas Chapter of the Association for Talent Development (ATD), the largest professional membership organization dedicated to people who develop talent in organizations. In her role, she oversees a board of six and 80 members; this year, she is focused on growing the membership to 100. Read the full article on www.SueBeyer.com. Minority Business Entrepreneur (MBE) magazine is published bi-monthly by Enterprise Publishing Inc. and serves as a nationwide forum for minority and women business owners, corporations and government agencies concerned with minority and women business enterprise development. MBE magazine examines affirmative action and procurement programs in the public and private sectors, and provides in-depth coverage of crucial issues affecting the growth and survival of minority- and woman-owned businesses. Each issue also features the success story of a prominent minority or female entrepreneur whose life and accomplishments may serve as a role model for others. As part of the CARE pilot program, the Power Membership Award program recognizes the top three chapters in each size category for the highest percentage of joint membership for the year. 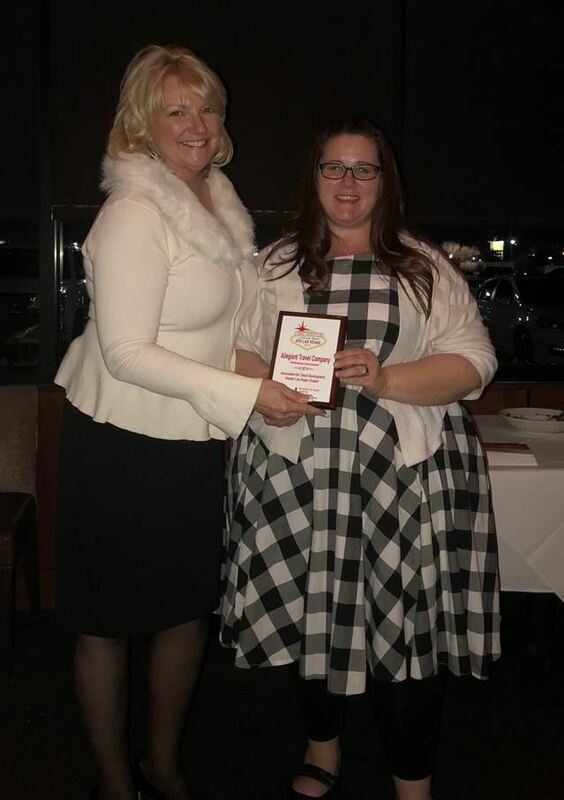 With a joint membership of 68 percent, the ATD Greater Las Vegas chapter is awarded second place in our size category! "Thank you for your commitment and efforts to grow joint ATD-chapter membership. With your chapter’s support, members are engaged more deeply with the organization, and have the opportunity to develop professionally from the benefits received at both levels of affiliation. We appreciate your partnership and collaboration." The full list of 2018 winners is available on the ATD website. The Greater Las Vegas Chapter of the Association for Talent Development (ATD) was recognized in March 2018 for successfully meeting all 18 required CARE elements for 100 percent achievement of CARE in 2017. The CARE membership goal helps establish that members of ATD and its chapters are part of the same organization with shared valuable resources and a shared compelling mission that effectively meets members’ professional development needs. The chapter is also recognized as a Chapter Membership SUPER STAR with joint membership above 50 percent. "I want to personally acknowledge and thank you and the chapter leadership team for your accomplishments and for going above and beyond the CARE requirement. See all of the 2017 CARE chapters here! Tonight we celebrated the work of our chapter members in 2017 at our annual Tribute to Learning Awards. Click here to see more photos from the awards dinner. The winner of this category succinctly addressed each of the key action items for this Area of Expertise: detailing the efforts in conducting a need assessment, identifying a learning approach to meet the needs of the business and the learners, collaborating with customer groups and subject matter experts, and selecting on-the-job compatible technology. The time and expense savings realized in the training process has enabled this company to spend increased efforts in coaching for the transfer of learning. The Knowledge Management Area of Expertise references the ability to capture, distribute & archive intellectual capital to encourage knowledge-sharing & collaboration. This year’s winner designed a solution that addressed the knowledge gaps in several functional areas. Collaborating with leaders of each area, a mobile and web-based app was developed that housed resources from several systems across the business, specific to the work group. The system allows users to rapidly collaborate and change materials as needs and information change. Benchmarking best practices and lessons learned, this company is measuring the success of the users, and have identified the need of some users to embrace the new technology. The Learning Technologies Area of Expertise emphasizes the ability to apply a variety of learning technologies to address specific learning needs. This year’s honoree demonstrated application of learning technologies in alignment with long term business goals. Technologies were selected that increased efforts in Training Delivery, aided in Knowledge Management, and added precision to the Instructional Design process. An ongoing mobile coaching program is deployed to reinforce learning after the training event. The business results called out an increase of learner participation, product knowledge and ease of learner tool use, with a reduction of accidents and injuries. The Managing Learning Programs Area of Expertise is centered around providing leadership to execute an organization's people strategy through implementation of training projects and activities. The winning submission outlined multi-year efforts to elevate the contributions, value and credibility of the company’s L&D team. Content was updated to focus on learning transfer and behavioral change. New programs were developed in alignment with the organization’s strategic initiatives. Business results include the L&D team having a voice at the table, being included in strategic planning meetings, with increased requests from customer groups to partner on learning needs. The Training Delivery Area of Expertise focuses on the ability to deliver effective training sessions through understanding of instruction design theory & methods, use of presentation techniques & tools for determining learning preferences, and incorporation of individual learning styles and cultural differences. Our winner demonstrated techniques to individualize the learning experience for each participant. Using pre-training assessments, they gain information to customize the learning experience, ensuring each participant is getting the development they need. Facilitators use the information to provide real time coaching to support transferable performance change. 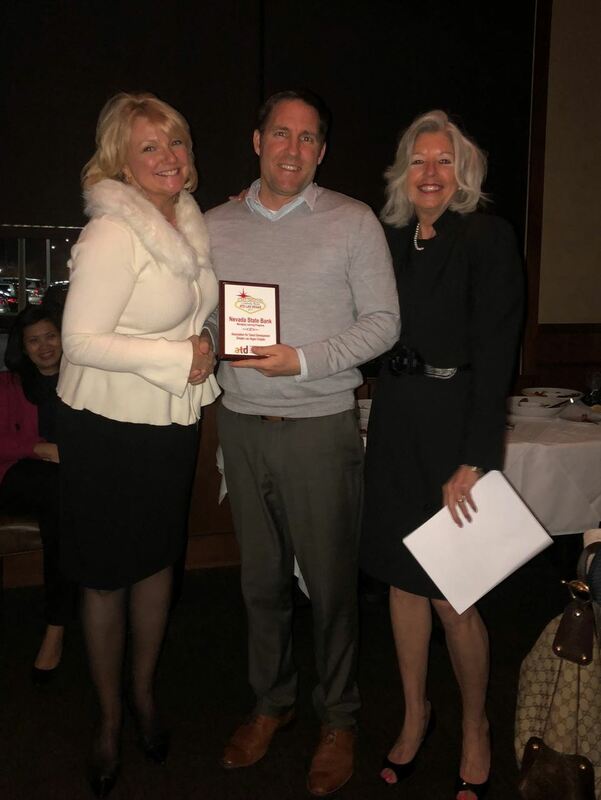 The Greater Las Vegas Chapter of the Association for Talent Development (ATD) was recognized in January 2018 for our submission to the ATD “Sharing Our Success” (SOS) program. The national SOS program identifies best practices among local ATD chapters and uses them as models for other chapters. In January 2017, the board evaluated the CARE and Power Member requirements to come up with a Chapter Metrics Scorecard. The scorecard was built to identify the most important goals, track specific metrics, and use those metrics in decision making. The chapter tracks six metrics that align with both CARE and Power Membership requirements: membership, Power Membership, chapter meeting attendees, budget year-to-date, money across accounts, and social media. The effort supported the growth of members and the community by providing higher-quality programs and allowing the board to make more informed decisions. This has led to a huge jump in Power Member numbers, from 46 percent to 68 percent in one year!